What Does a Boiler Operator Do? Boiler Operator Jobs: Factories, government and commercial buildings, schools, and hospitals are some of the places where boiler operator work. Inspection: Boiler operators use gauges, monitor meters, and computerized controls to inspect equipment. They make sure it’s operating correctly and safely. Service: As a boiler operator, you would also service the equipment. This means replacing filters, cleaning off corrosion or soot, and lubricating moving parts. Repair and Replacement: During maintenance, you’ll troubleshoot problems and make repairs. Sometimes you’ll have to replace parts. Faulty valves, gaskets, or bearings are some of the parts that are commonly replaced. Improved Efficiency: Combustion byproducts can build up on the heat exchanger. This can create a blockage of airflow that interferes with heat transfer which decreases efficiency. 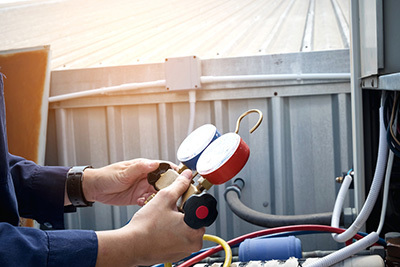 It’s possible that using the latest HVAC technology you can recommend smart retrofits or find tools that make maintenance more efficient. Longer Equipment Life Span: While working on the equipment, you could fix problems that could ultimately shorten its life span. The system might be leaking water. The controls could be working incorrectly. There could be issues with the vents or pipes. Regular maintenance allows you to make repairs to keep equipment working longer.